Many of you will be aware that Billy Bonnar passed away on the 1st of February. 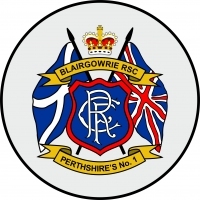 Billy was a member and regular attender on the buses of the original Blairgowrie and District Rangers Supporters Club. Older members will remember him in his position at the front of the bus, always ready with a word of advice for the driver. He will be missed and fondly remembered by many of our members. His funeral takes place on Wednesday the 13th of February at 11am at Rattray Church and the Cemetery thereafter.